We recognise the need to provide a pathway for 16-18 year olds in order to “future proof” our own workforce and meet the ever increasing skill requirements of the industry. After months of preparation we are delighted to announce the launch of our Groundworks Apprenticeship Scheme. 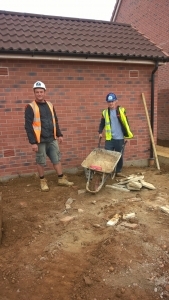 As of 14th September 2015 there are 12 Apprentices working closely with experienced Site Supervisors and supported by our Apprentice Mentor. Over the next 2 years the Apprentices will work towards a Level 2 Diploma and Level 2 NVQ in General Construction Operations at the CITB National Construction College at Bircham Newton. This combines 16 weeks of academic study with hands on experience on site. 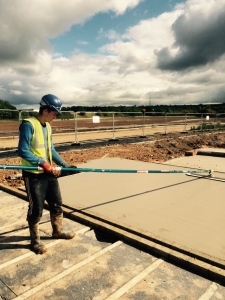 We have developed a Groundworks Apprenticeship Framework which will cover all core areas of Groundworks throughout the duration of the Apprenticeship to ensure that all Apprentices achieve the Tithegrove standard by the end of the programme. In 2016, the plan is to extend the Apprenticeship scheme by taking on a further 12 Apprentices in Swindon and also 12 in our southern region. Kim, our Apprentice Mentor and Lauren, our Training & Development Co-ordinator, are in the process of contacting local schools and secondary colleges in the Swindon and Somerset areas to arrange assemblies advertising the future apprenticeships. They will also be attending careers events to start generating interest for the next intake.